Zurich, 17 April 2019 – Lalique Group SA (SIX: LLQ), which is active in the creation, development, marketing and worldwide distribution of luxury goods, achieved further growth and solid results in 2018. Operating revenue rose to EUR 136.4 million, up 6% or 9% in local currencies compared with the previous year. Net Group profit amounted to EUR 5.2 million, reflecting continued investments in the business, in line with the guidance provided with the half-year results. 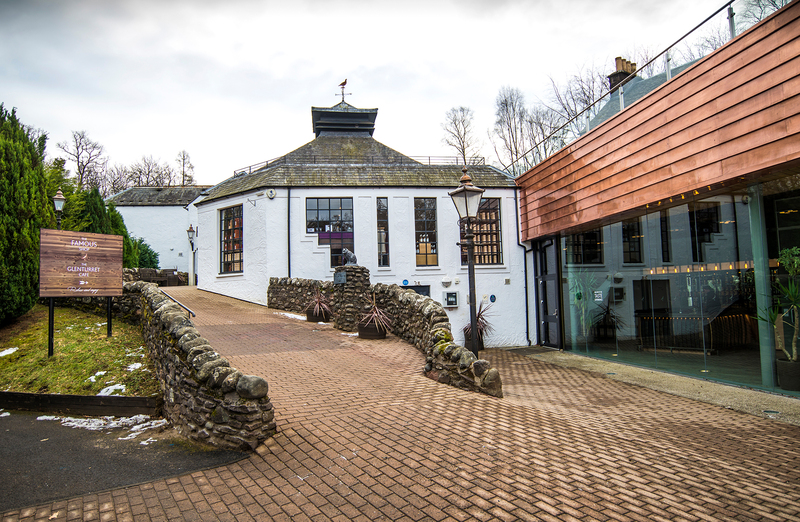 On 28 March 2019, Lalique Group completed the acquisition of 50% of The Glenturret, Scotland’s oldest working single malt whisky distillery, further expanding its portfolio in the luxury goods market. The Group intends to launch a rights issue in the course of the year, and is in advanced negotiations to enter into two new perfume licensing agreements. For 2019, Lalique Group expects low single digit sales growth (in local currencies) and a slight increase in the EBIT margin. 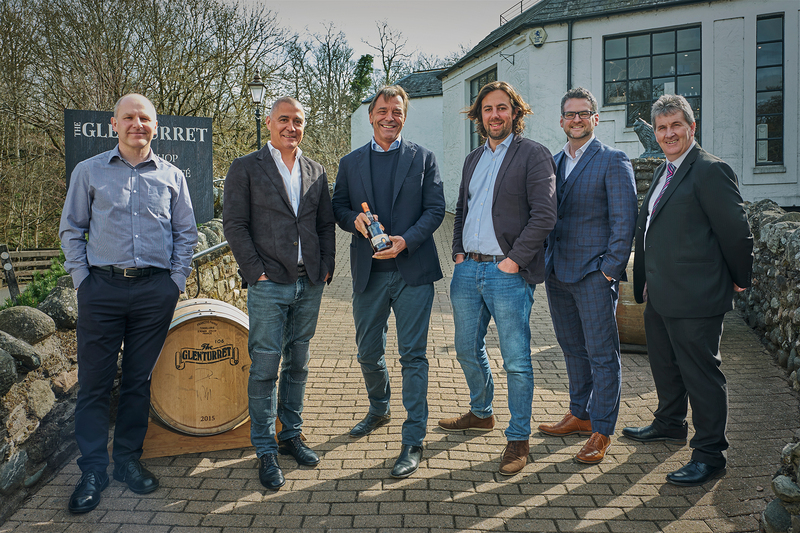 Zurich, 29 March 2019 – Lalique Group SA (SIX: LLQ), which is active in the creation, development, marketing and worldwide distribution of luxury goods, today announced the acquisition of The Glenturret, Scotland’s oldest single malt whisky distillery, through a joint venture in which Lalique Group and Swiss entrepreneur Hansjörg Wyss each hold 50%. 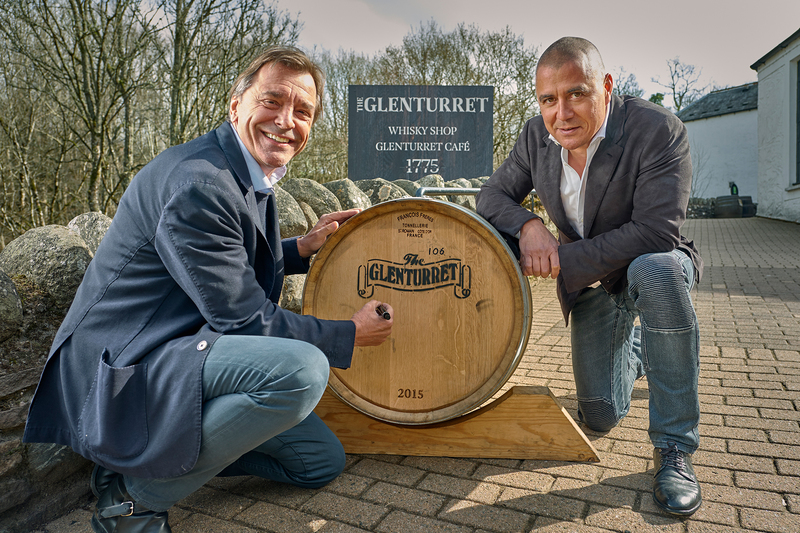 Lalique Group will fully consolidate and will further develop the Glenturret business by leveraging both brands and its international network, as well as implementing joint initiatives in product design, distribution and hospitality. The transaction, with a purchase price of GBP 15.5 million for Lalique Group’s 50% stake, closed on 28 March 2019. Zurich, 20 September 2018 – Lalique Group SA (SIX: LLQ), which is active in the creation, development, marketing and worldwide distribution of luxury goods, increased sales by 4% to EUR 66.9 million in the first half of 2018. Net Group profit reached EUR 1.3 million. Lalique Group is continuing to expand its business, particularly in Asia. Zurich, 13 September 2018 – Lalique Group SA (SIX: LLQ), which is active in the creation, development, marketing and worldwide distribution of luxury goods, today announced that a court of appeal in a previously announced case in France has ruled in its favour and awarded the Group compensation of EUR 2.4 million. The decision is not yet final and has no effect on the halfyear results for 2018. Zurich, 21 June 2018 – Lalique Group (BX: LLQ), which is active in the creation, development, marketing and worldwide distribution of luxury goods, today announced that 1,000,000 new shares will be issued in connection with the rights issue. As previously announced, the switch of listing of the Lalique Group shares from BX Swiss to SIX and the first trading day at SIX are planned to coincide with the completion of the capital increase on 25 June 2018. Zurich, 8 June 2018 – The shareholders of Lalique Group (BX: LLQ) agreed to all the proposals of the Board of Directors at today’s Ordinary General Meeting. One of the motions passed related to an ordinary capital increase, maintaining shareholders’ subscription rights. The subscription period is set to begin on 14 June 2018. The Group is planning to list its shares on the SIX Swiss Exchange to coincide with the expected completion of the proposed capital increase on 25 June 2018. Zurich, 17 May 2018 – Lalique Group SA (BX: LLQ), which is active in the creation, development, marketing and worldwide distribution of luxury goods, today published the agenda for the Ordinary General Meeting on 8 June 2018. Zurich, 26 April 2018 – Lalique Group SA (BX: LLQ), which is active in the creation, development, marketing and worldwide distribution of luxury goods, achieved a good result in 2017. Operating revenue grew by 4% yearon- year to EUR 128.8 million. Net Group profit rose to EUR 6.9 million, compared with EUR 1.0 million in the previous year. The company also announced that the previously disclosed partnership agreement with Damian Limited is not to go ahead. The Board of Directors of Lalique Group has decided to propose a capital increase in the form of a rights issue up to a maximum of 1,000,000 new shares at the Annual General Meeting on 8 June 2018, with the primary goal of strengthening the company’s balance sheet by converting shareholder loans into new shares. In the course of the capital increase, Lalique Group intends to pursue a listing of its shares on the SIX Swiss Exchange. Zurich, 5 February 2018 – Lalique Group SA (BX: LLQ), a Swiss listed company active in the creation, development, marketing and worldwide distribution of luxury goods, announces today that the transaction with Hong Kongbased Damian Limited is now expected to be completed in the second quarter of 2018. Zurich, 7 November 2017 – Lalique Group SA (BX: LLQ), a Swiss listed company active in the creation, development, marketing and worldwide distribution of luxury goods, has signed a partnership agreement with Hong Kong-based Damian Limited, representing high-profile Chinese entrepreneurs, with a view to boost Lalique’s business in Far Eastern markets. As part of the agreement, Lalique Group will propose to its shareholders the launch of a rights issue relating to 997,300 new shares, of which Damian Limited has agreed to subscribe to 380,000 shares for an amount of CHF 11.4 million. Damian Limited has also agreed to invest a further EUR 10.0 million in a joint venture with Lalique’s business in China. Zurich, 6 October 2017 – Lalique Group SA (BX: LLQ), which is active in the creation, development, marketing and worldwide distribution of luxury goods, has renamed its sub-holding company for the perfume and cosmetics business as Lalique Beauty SA in a move aimed at unifying its market presence. Zurich, 20 September 2017 – Lalique Group SA (BX: LLQ), which is active in the creation, development, marketing and worldwide distribution of luxury goods, increased its operating revenue by 9% to EUR 64.2 million in the first half of 2017. Group net profit rose to EUR 3.0 million compared with EUR 0.6 million the previous year. Lalique Group is confident that it will be able to continue on its growth trajectory in the second half of 2017. The company is planning to change the name of its sub-holding Art & Fragrance to Lalique Beauty at the beginning of October in a move that will further unify its market presence. Zurich, 23 June 2017 - The shareholders of Lalique Group SA agreed to all the proposals of the Board of Directors at the Annual General Meeting. Jan Kollros was elected as a new member of the Board. Zurich, 3 May 2017 - With effect from 1 June 2017 Alexis Rubinstein is to become a member of the Executive Board and Group Chief Financial Officer (CFO) of Lalique Group. Zurich, 29 March 2017 - In the 2016 financial year, Lalique Group SA (BX: LLQ), which is active in the creation, development, marketing and worldwide distribution of luxury goods, faced a challenging market environment and higher costs arising from expansion of its business. In addition, the Group recorded an extraordinary impairment of EUR 1.7 million in the annual financial statements for 2016. Operating revenue decreased by 2% year on year to EUR 123.6 million. The Group result came in at EUR 1.0 million, compared with EUR 8.5 million in 2015. Zurich, 15 February 2017 - Lalique Group SA (BX: LLQ), which focuses on the creation, development, marketing and worldwide distribution of luxury goods, has decided to recognise an extraordinary valuation adjustment of EUR 1.7 million in its 2016 annual accounts. After a challenging year for the luxury goods industry, the company expects an EBIT of approximately EUR 3.5 million for 2016, based on provisional, unaudited figures. The publication of the full-year 2016 results is scheduled for 27 March 2017. Zurich, 20 October 2016 - Lalique Group SA (BX: LLQ), which focuses on the creation, development, marketing and worldwide distribution of luxury goods, achieved a stable result in the first half of 2016, in spite of challenging market conditions. Operating revenue remained unchanged year-on-year at EUR 58.7 million. Group net profit was EUR 0.6 million. Based on current business trends, Lalique Group is anticipating increased profitability by the end of the year. Zurich, 24 June 2016 - The shareholders of Art & Fragrance SA agreed to all the proposals of the Board of Directors at the General Meeting. Amongst other things, it was decided to rename the Group holding company Art & Fragrance SA as Lalique Group SA. Zurich, 21 April 2016 - Art & Fragrance SA (BX:ARTN), which is active in the creation, development, marketing and worldwide distribution of luxury goods, achieved good results in 2015. Operating revenue grew by 14% compared to the previous year to EUR 126.5 million, while the net Group result rose to EUR 8.5 million versus EUR 5.3 million in 2014. Art & Fragrance is confident that it will continue to achieve growth in all segments. Zollikerberg near Zurich, 29 October 2015 - Art & Fragrance SA (BX:ARTN), which is active in the creation, development, marketing and worldwide distribution of luxury goods, generated operating revenue of CHF 62.1 million in the first half of 2015; this was 9% lower than in the first half of 2014 due to currency conversion effects, but stable in local currency. Net Group profit fell to CHF 0.7 million, due not only to the currency situation, but also to higher project costs, the economic environment in a number of sales regions and lower perfume revenues. The latter decline was mostly caused by staggered procurement and has already reversed by the third quarter of 2015. Art & Fragrance remains confident in its fundamental growth outlook. At the Annual General Meeting, the shareholders of Art & Fragrance SA approved all of the motions proposed by the Board of Directors. Zollikerberg near Zurich, 23 April 2015 - Art & Fragrance SA (BX:ARTN), which is active in the creation, development, marketing and worldwide distribution of luxury goods, made sound progress in its operating business in 2014. Operating revenue rose by 14% to CHF 135.1 million compared to the previous year. The Group result, which was negatively impacted by a court case involving Lalique in France, amounted to CHF 6.0 million (2013: CHF 5.8 million). Without this case, the Group result would have been 32% higher than in the previous year. Art & Fragrance is confident that it will continue to achieve growth in all segments. Zollikerberg near Zurich, 19 September 2014 - Art & Fragrance SA (BX:ARTN), which is active in the creation, development, marketing and worldwide distribution of luxury goods, reconfirmed in the first half of 2014 the progress it made in the previous year. Operating revenue rose by 23% to CHF 68.2 million thanks to increases in sales in all segments compared to the first half of 2013. The net Group result, which was impacted in the previous period by one-off costs for the integration of the filling and logistics firm acquired in early 2013, more than doubled to CHF 5.3 million. Art & Fragrance is confident that it will be able to continue its growth trend in the second half of 2014 as well. Zollikerberg near Zurich, 13 June 2014 - At the Annual General Meeting, the shareholders of Art & Fragrance SA approved all of the motions proposed by the Board of Directors. Zollikerberg near Zurich, 17 April 2014 - Art & Fragrance SA (BX:ARTN), which is active in the creation, development, marketing and worldwide distribution of luxury goods, made pleasing operating and strategic progress in 2013. Operating revenue was increased by 7% to CHF 118.7 million. The Group result of CHF 5.8 million reflects the mostly one-off integration costs relating to the acquisition of a filling and logistics company at the start of the year, which has since been renamed Art & Fragrance Services (AFS). Art & Fragrance is confident that it will continue to achieve stable growth in all its segments. Zollikerberg near Zurich, 30 September 2013 - Art & Fragrance SA (BX:ARTN), which is active in the creation, development, marketing and worldwide distribution of luxury goods, achieved operating revenue of CHF 55.3 million in the first half of 2013, a result practically on a par with the same period in the previous year, in spite of challenging market conditions in some areas. The net Group profit of CHF 2.4 million reflects the mostly one-off integration costs related to the acquisition of a filling and logistics company at the start of the year and the increasing price pressure on one of the older, classic perfumes. Art & Fragrance is confident that it will continue to achieve stable growth in all its segments. Zollikerberg near Zurich, 21 June 2013 - At the Annual General Meeting, the shareholders of Art & Fragrance SA approved all of the motions proposed by the Board of Directors. Zollikerberg near Zurich, 18 April 2013 - Art & Fragrance SA (BX:ARTN), which is active in the creation, development, marketing and worldwide distribution of luxury goods, discloses, in accordance with Article 20 of the Swiss Federal Stock Exchange Act, that as a result of the sale of treasury shares, the company and its subsidiaries have fallen below the treasury shares threshold of 3%. The limit of 3% had been attained in 2010 and disclosed through announcement dated 27 October 2010, while the limit of 5% had been attained in 2013 and disclosed through release dated 21 March 2013. Zollikerberg near Zurich, 11 April 2013 - Art & Fragrance SA (BX:ARTN), which is active in the creation, development, marketing and worldwide distribution of luxury goods, increased its net Group profit by 17% to CHF 9.7 million in 2012. Both the perfumes and the cosmetics business as well as the crystal and jewellery segment posted a solid performance in 2012. The integration of filling and logistics company CPS, which was acquired in January 2013, is proceeding well. Art & Fragrance is very well positioned as a Group and optimistic about the future. However, due to the continuing uncertain economic environment, the Group remains cautious regarding its business performance in the short term. Zollikerberg near Zürich, 21 March 2013 - Art & Fragrance SA (BX:ARTN), which is active in the creation, development, marketing and worldwide distribution of luxury goods notifies, in accordance with article 20 of the Swiss Federal Stock Exchange Act, that the company and its subsidiaries have exceeded the threshold of 5% and are currently holding a total of 260’425 registered shares with a nominal value of CHF 0.20 each, representing 5.21% of the voting rights. The threshold of 3% treasury shares was attained in 2010 and was disclosed through release dated 27 October 2010. Zollikerberg near Zurich, 28 January 2013 - Art & Fragrance SA (BX:ARTN), which is active in the creation, development, marketing and worldwide distribution of luxury goods, announced today that it has acquired all shares in the filling and logistics company Cosmetics Perfumes Services SAS (CPS), based in Ury, France, from the family owners. The terms of the transaction have not been disclosed. Zollikerberg near Zurich, 19. September 2012 - Art & Fragrance SA (BX:ARTN), which is active in the creation, development, marketing and worldwide distribution of luxury goods, increased its operating revenue by 8% to CHF 55.9 million in the first half of 2012. The perfumes and cosmetics segments posted solid results. Sales were also up in the crystal and jewellery segment, but higher personnel and production costs coupled with additional expenditure on modernising manufacturing processes impacted on margins. Net Group profit was CHF 3.7 million. The company is cautious about performance for the current year, but remains optimistic about the future. Zollikerberg near Zurich, 23. April 2012 - Art & Fragrance SA (BX:ARTN), which is active in the creation, development, marketing and worldwide distribution of luxury goods, has more than quadrupled its Group profit to CHF 8.3 million during the 2011 financial year. Despite unfavourable currency developments, the company achieved a very good result, namely in the perfume business as well as in the crystal and jewellery segment which continued to make great progress. Zollikerberg near Zurich, 30 September 2011 – Art & Fragrance SA (BX:ARTN), which is active in the creation, development, marketing and worldwide distribution of luxury goods, increased its operating profit to CHF 6.3 million and its net Group profit to CHF 4.5 million in the first half of 2011 in spite of unfavourable currency developments. With this result, the Group – which in 2008 acquired and subsequently successfully restructured the renowned French company Lalique – has underlined its positive trend. Zollikerberg near Zurich, 25 January 2011 – Art & Fragrance SA (BX:ARTN), which is active in the creation, development, marketing and worldwide distribution of luxury goods, announces that Eric Amouyal, member of Art & Fragrance's Board of Directors since May 2009, resigned with immediate effect for personal reasons. Art & Fragrance thanks Eric Amouyal for his valuable contribution and wishes him much success for the future. He will not be replaced on the Board. The buyback by Art & Fragrance SA (BX:ARTN) of the 49.2% holding of Financière Saint Germain (FSG) in Lalique SA, which was announced on 15 November 2010, has been closed today. 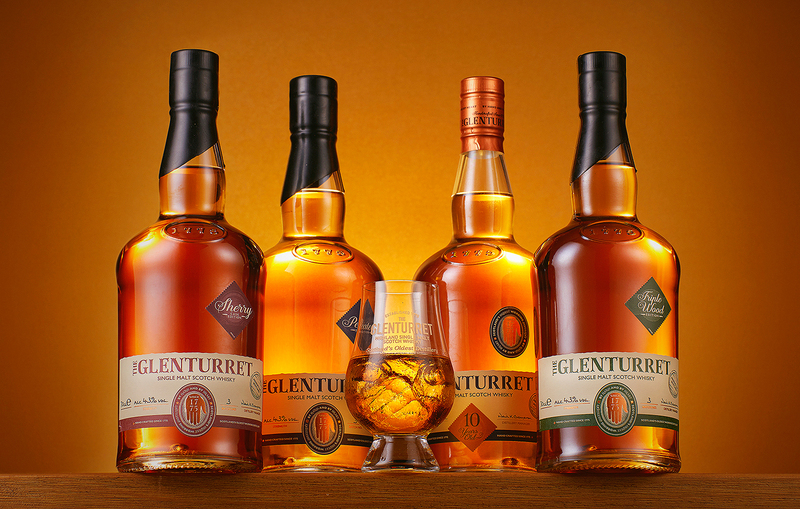 The repurchase price of EUR 20.5 million is equivalent to the original selling price. Art & Fragrance now again holds 99.3% of the renowned French company. If you would like to receive the media releases of Lalique Group SA directly, please subscribe via the following form. We will be pleased to keep you informed about our activities.